The CIA Introduces Gina Haspel After Her Long Career Undercover : Parallels Most stories about Haspel, the nominee to lead the agency, focus on her controversial role in the CIA's waterboarding program. The CIA is attempting to counter that with a biography and testimonials. All these tidbits come from the CIA, which recently published Haspel's biography on its website and by tweet, offering a personal portrait of someone who worked undercover for three decades. 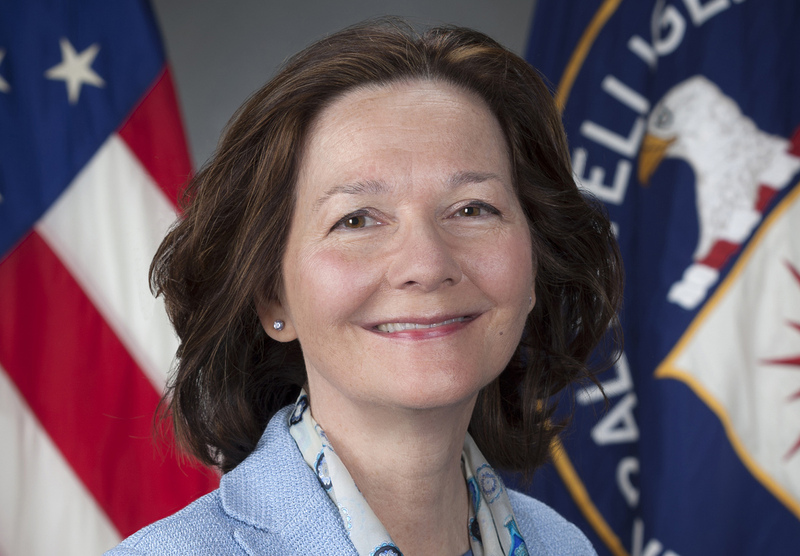 At the same time, former intelligence officials are providing glowing testimonials, describing her as a skilled CIA officer and station chief abroad and a talented manager at headquarters in Langley, Va.
For the CIA, this amounts to a full-throttle public relations campaign designed to counter critics who have focused on the most controversial part of Haspel's career — her role in the CIA's waterboarding campaign — and question whether this should disqualify her from the top job. Haspel became the CIA's deputy director last year, a position that did not require Senate confirmation. President Trump has nominated her to replace Mike Pompeo, the president's choice to become secretary of state. Before being named CIA Deputy Director in 2017, Haspel held a series of senior jobs, including Chief of Staff to Deputy Director for Operations, Chief of Station in city of a major US ally, & Deputy Director of DO. "She's a consummate professional. She's been doing this for 30 years in a lot of tough assignments," said Michael Vickers, a former CIA officer and a top Pentagon official. In the early 1980s, Vickers was an Army Green Beret when he met Haspel, just out of college and working at the library on a military base in Massachusetts. "As I was checking out some field manuals to study, we had a conversation about her background, and I was interested in going into the CIA down the road, and I suggested it, and lo and behold, that's what she did," said Vickers. Fast-forward 30 years, and the two were working together, with Haspel a senior CIA official and Vickers as the Pentagon's undersecretary of defense for intelligence. The CIA and Haspel's former colleagues clearly want to provide a sense of a woman who has left a nearly blank public record. Yet the one topic they won't discuss is her time at a CIA black site prison in Thailand — where al-Qaida suspects were waterboarded in 2002. The CIA calls some reports about Haspel inaccurate, and in at least one case, ProPublica issued a major correction. But the CIA hasn't provided its own account of her role, saying it remains classified. Haspel is now preparing for what's set to be a tough confirmation hearing on May 9 before the Senate Intelligence Committee. "If I were a senator, of course, the torture issue, the enhanced interrogation, will have to be a focus of those hearings," said Paul Pillar, who spent nearly three decades in the CIA. Now with the Center for Security Studies at Georgetown University, Pillar says he always opposed torture. "I would expect, and hope, to hear from Ms. Haspel a very strong statement that such practices will not be resumed," he added. Three Democratic senators wrote to Pompeo this week, asking him to declassify more information about Haspel. "The more we review the classified facts, the more disturbed we are, both by the actions [Haspel] has taken during her career and by the CIA's failure to allow the public the opportunity to consider them," said the letter, signed by Ron Wyden of Oregon, Dianne Feinstein of California and Martin Heinrich of New Mexico. Over the past decade, the torture question has been addressed in several ways. President Barack Obama banned torture by executive order in 2009. Congress passed a law outlawing it in 2015. The Army Field Manual, which lists all permissible forms of interrogation, does not include waterboarding. Yet CIA critics like John Prados of the National Security Archive, a private group that favors openness, says there still needs to be a public reckoning. "If this is handled on the basis of the CIA trying to evade the issue by claiming the torture didn't happen, it didn't exist, then it will just make things worse," said Prados, author of The Ghosts of Langley: Into the CIA's Heart of Darkness. "Right out of a spy novel"
For now, the CIA is focused on Haspel's personal story. Her father was in the Air Force, so she grew up on military bases abroad. She attended high school in Britain and returned to the U.S. for college, first to Kentucky and then to Louisville. At the CIA, her first foreign assignment was in Africa, though the CIA doesn't name the country. In her CIA biography, Haspel described her work as "right out of a spy novel. It really didn't get any better than that." She later became a foreign station chief in more than one place. Again, no locations are mentioned, though it's been widely reported that one of them was the London operation. "She's out there to recruit spies to steal secrets on behalf of the United States. She did that job well," said Mary Margaret Graham, a longtime colleague who is now retired from the CIA. "She has a calmness about her when she is faced with a problem set that allows her to look at the second- and third-order effects of any decision," Graham added. "That's very, very rare." As Haspel rose through the ranks, she asked to be posted to the agency's counterterrorism center. Her first day on that job: Sept. 11, 2001. What's not included in her official bio is a controversial episode in 2005 when Haspel wrote a cable calling for the destruction of videotapes that showed suspects being waterboarded. The tapes were then destroyed. This infuriated some in Congress, who were aware that the tapes existed and had demanded they be preserved. The CIA conducted an internal investigation. Michael Morell, who served as acting CIA chief, wrote of Haspel's cable: "She did so at the request of her direct supervisor and believing that it was lawful to do so. I personally led an accountability exercise that cleared Haspel of any wrongdoing." Now Haspel's challenge will be winning over skeptics in the Senate.